Should you get skip-the-line tickets for the most popular Paris attractions? Yes. With well over 20 million tourists coming to the City of Lights to see its famous attractions each year, ticket lines get long. Don't waste your time in Paris by standing in line when you don't have to. Skip-the-line tickets are almost always worth getting and are easy to buy online before you travel. Which Paris attractions, museums, and monuments offer skip-the-line admission? 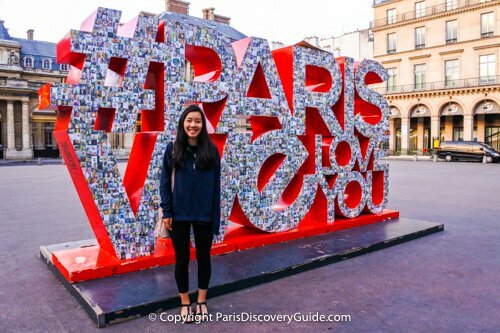 All of the most popular places in Paris: the Louvre Museum, Palace of Versailles, Orsay Museum, Arc de Triomphe rooftop terrace, Catacombs, the Eiffel Tower, Paris Opera House (Opéra Garnier), Disneyland Paris, Sainte Chapelle, Giverny (Monet's home and gardens), and more. 1. Guided tours always include skip-the-line priority access; a few even give you access to private areas not available to most visitors. The expert guides who lead these tours will enrich your experience by telling and showing you things you might miss on your own. 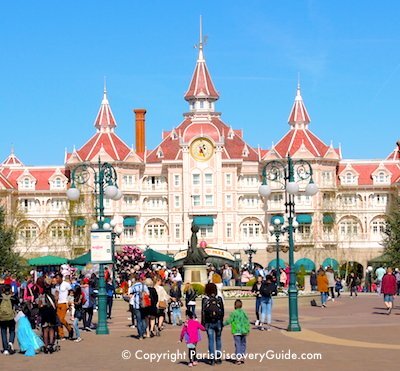 Some skip-the-line guided tours for destinations outside of Paris such as Versailles, Giverny, and Disneyland even include transportation - another time and stress saver. 2. Paris Museum Passes let you skip the line at many top museums and monuments. You can also buy them bundled with other attractions, tours, and cruises. For the most popular destinations such as the Eiffel Tower and Versailles, order your skip-the-line tickets or book your tour as soon as you know your travel dates. The most popular tours and tickets sell out faster than you might expect, especially for peak travel periods. Don't be left standing in line! Home to the Mona Lisa - perhaps the most famous painting in the world - and countless other treasures filling its vast spaces, the Louvre Museum attracts massive crowds. During peak seasons, getting through the regular ticket line can take up to three hours or more. Don't risk being stuck in it: get a skip-the-line ticket in advance. Even better: Book a guided tour will give you skip-the-line priority entry, help you navigate the crowds, show you more of the Louvre's magnificent art than you might discover on your own, and share interesting insights about this palace-turned-museum. After the tour, spend as much time as you want to see even more on your own. The Eiffel Tower is another top attraction where a skip-the-line ticket can save you as much as 3-4 hours waiting in line. The Eiffel Tower's viewing platforms and elevators, especially those to the top of the tower, can only accommodate a fixed number of visitors at a time. That means everyone with a guided skip-the-line tour or skip-the-line ticket gets priority over you, unless you have one too. A huge range of Eiffel Tour ticket and tour choices are offered: go just to the 2nd floor or all the way up to the Summit for its sweeping views of Paris, benefit from the services of a guide, combine a visit with a meal in the Tower, or bundle your visit with a Champagne cruise down the nearby Seine River. Skip-the-line tickets or tours are well-worth getting for the Eiffel Tower if you want to make the best use of your time. Versailles Palace & Gardens Skip the Line Tickets - A Must! Especially during spring, summer, and early fall, skip-the-line tickets for entrance to Château de Versailles, famous for its Hall of Mirrors and beautiful gardens, can save you up to 3-4 hours of wait time. (Although with any type of ticket, you should expect a short wait in the security check line.) Go directly to the Versailles website for no-frills skip-the-line tickets. 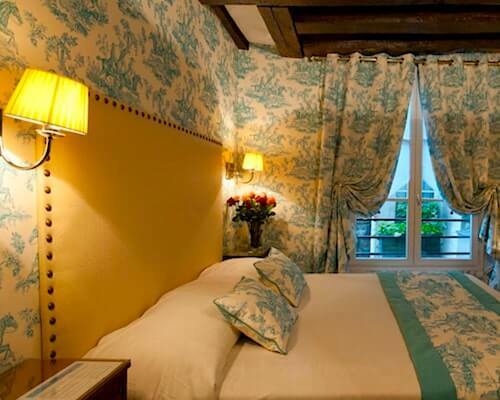 Secret Rooms of Versailles Skip-the-Line Half Day Tour from Paris - For this 4-hour small group tour, a guide meets you at a train station in Paris and escorts you to Versailles, making sure you get off at the right stop. Upon arrival, an expert Versailles guide meets you, walks to Versaille with you and whisks you through the priority entrance. Your guide shows you famous rooms such as the Hall of Mirrors, and also takes you into private apartments normally closed to the public. After the tour, you can explore more on your own before taking the train back to Paris. Some Paris guide books describe the Catacombs, former quarries repurposed as a burial ground for millions of Parisians, as a little-known but cool Paris attraction. But nothing could be farther than the truth, as you can attest if you get stuck for 2-3 hours or more in the slow-moving regular ticket line. The Catacombs' tunnels can hold only a certain number of visitors at one time, which adds to the line's slowness. So skip-the-line tickets to the Catacombs gives you two advantages: you get priority access in addition to avoiding the long wait. Skip-the-line Catacombs tickets do command a price premium, but can be well worth a few extra Euros. In addition to regular skip-the-line tickets, guided tours are available, including a version where you get to explore chambers and tunnels normally closed to visitors. Both tour types are well worth considering. Disneyland Paris has almost no "slow" season other than a short period during January, as rolling school vacation weeks in France and elsewhere in Europe means happy kids and their families almost always fill the park - it competes with the Eiffel Tower as the most popular tourist destination in the Paris region. There are actually two parks: Disneyland and Walt Disney Studios. You can get advance tickets to one or both, and for 1-day or 2-day entry; plus you can choose tickets only, train transportation from Paris, or bus transport. Ticket options vary based on time of the year - see them here. Famous for its superb collection of Impressionist paintings, including Van Gogh's Starry Night, the Orsay Museum is not nearly as huge as the Louvre, but don't be fooled - it's crammed full of treasures, many of which can be easy to miss. Admission lines can be long and slow - an hour or more is not unusual. Definitely get a skip-the-line ticket online before you go - they're the same price as those at the door. Orsay Museum guided tours - many of them led by art historians - can help you understand the context of the fabulous art you're seeing. Admission to Notre Dame Cathedral is free - but lines can get long. And to climb to the top of the famous Towers offering close-up views of the gargoyles and Paris rooftops, you need to buy an admission ticket, which usually means standing in long lines stretching down the sidewalk. The solution? Get an advance guided tour ticket that gives you skip-the-line admission to the cathedral, the Towers, and a tour by an expert guide who will point out the fabulous architecture, art, and stained glass rose windows while telling you about the famous cathedral's long history. Go straight to the front of the admissions line at Arc de Triomphe with a skip-the-line ticket - for the same price you'd pay at the gate but no wasted time in line, it's a sure bet, and the views of Paris, Champs Elysées, and the Eiffel Tower from the terrace at the top of the Arc will thrill you. To learn more about this famous monument, choose a reasonably-priced guided visit. Skip-the-line tickets for the magnificent Paris Opera House cost the same as the admission tickets you'd wait in line for, so they're another no-brainer - order them online and go right in. The real bargain here, though, are the guided tours that cost just a little more than the admission tickets. The guides know the Opera House inside and out, and will show you all the maginificent art, costumes, and sculptures as well as share stories about this famous landmark and even its role in Andrew Lloyd Webber's Phantom of the Opera. The "after hours" tour is especially popular, so book early to get the date you want. At the following Paris attractions, you'll sometimes encounter slow-moving lines, and at other times, you can breeze right in. Although longer lines typically happen during prime tourist season, special exhibitions throughout the year can attract crowds and crush your hopes for a speedy entrance. All of them offer online tickets giving you priority access for the same price as the tickets you'd stand in line for, so even if you save yourself only 5-10 minutes line time, the advance tickets are well worth getting. Another option for skipping the line at Pompidou - book a private tour with a guide who's an expert in art of this period. Alternately, book a private tour with a Picasso expert as your guide. The Paris Museum Pass gives you free skip-the-line admission to 60+ top museums and monuments in Paris and the nearby suburbs for a fixed period of time - you choose 2 days, 4 days, or 6 days when you buy the card. The Paris Museum Pass includes fast track skip-the-line access to many of the popular attractions mentioned above: Sainte Chapelle, the Louvre Museum, Conciergerie, Musée d'Orsay, Pompidou Center, the Arc de Triomphe, and Versailles Palace. It also covers plenty of others for which skip-the-line options are not otherwise available, such as the Branly Museum, Cluny Museum (Musée National du Moyen Âge), and the Air and Space Museum located north of the city. Not every museum in the city is included in the Pass nor are attractions such as the Eiffel Tower, Disneyland Paris, Catacombs, or the Paris Opera House. 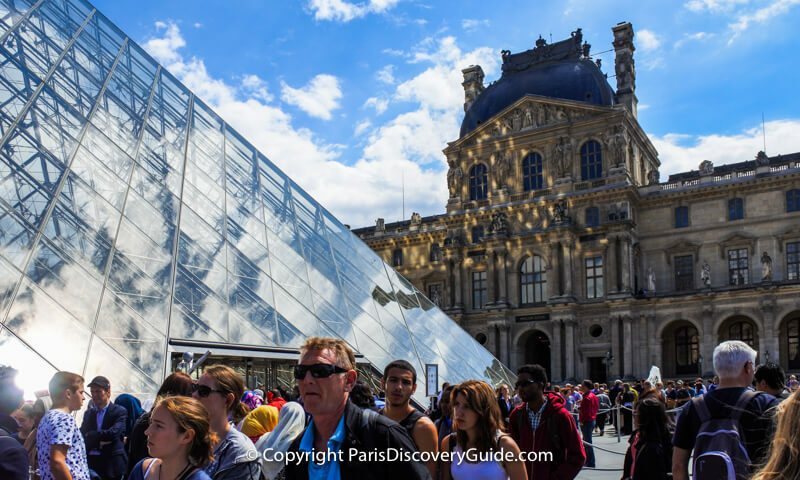 But if the Paris Museum Pass includes enough of the places you want to visit and if you can compress your visits into 2, 4, or 6 days, it can save you money - and of course also time, due to the skip the line feature. 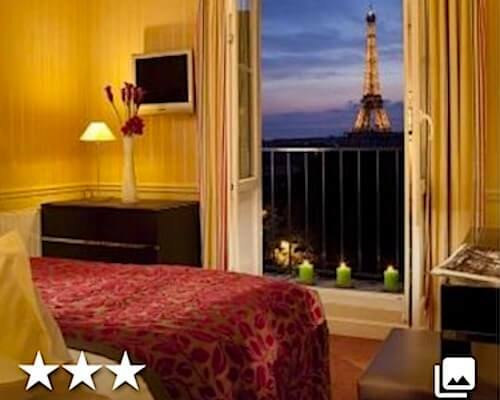 Other "flavors" of Paris passes are also available for 2-6 days. 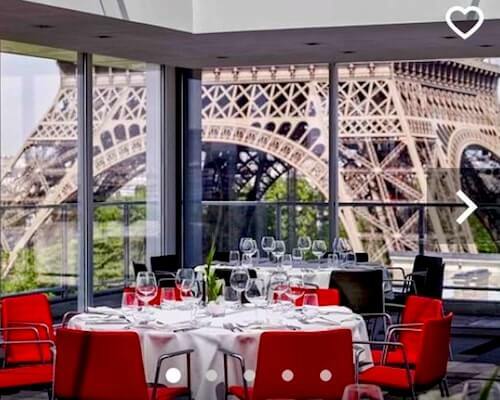 Several bundle the Paris Museum Pass with other benefits such as free travel on the Paris metro, buses, trams, and trains, a Seine River cruise, additional attractions such as the Grevin Wax Museum, hop-on hop-off sightseeing buses, wine tastings, and discounts on other attractions. Q: How soon before my trip should I get skip-the-line tickets? A: For the most popular destinations such as the Eiffel Tower, you should order your skip-the-line tickets as soon as you know your travel dates. The tickets do sell out, especially for late spring and summer dates. Q: Do you pay more for skip-the-line entry tickets compared with regular tickets that you'd stand in line to get? A: It depends. Museums such as the Louvre typically offer skip-the-line tickets purchased in advance at the same cost as regular tickets. Other attractions such as the Catacombs and Eiffel Tower sell skip the line tickets at a premium price, whether you buy them on the attraction's website (if available) or through a ticket booking website. Q: I've heard you still have to go through a security line. True? A: True - you cannot skip the security line. But many of the biggest attractions now have special expedited security lines for people with skip the line tickets, so they usually move fast. Q: Should I get skip-the-line tickets even if my trip to Paris isn't during the busy summer months? A: Summer ticket lines are usually the longest, but skip the line tickets can save you time even during less busy months, especially if a newly opened special exhibit attracts large numbers of Parisians who will be standing in the same line as you to get their special exhibit tickets. Why waste even 5-10 minutes of your time in Paris by standing in line when you don't have to? Q: Why do you show skip-the-line tickets on Paris Discovery Guide from GetYourGuide and Viator instead of directly from the attractions? A: GetYourGuide and Viator are secure ticket booking platforms and offer tickets for many different attractions, tours, and experiences in one place - usually much more convenient than searching through a bunch of different websites to compare deals, especially when you're purchasing tickets for more than one attraction. We use them ourselves when we travel - they make it easy to find out what's available, compare offers, and quickly book tickets. GetYourGuide and Viator let you book in your own currency, which can save you conversion fees. They do not add booking or service fees of their own; on the rare occasions when an attraction charges an online booking fee, GetYourGuide and Viator tell you the amount up front. They also pass on small discounts to you when available. If you need to change a date or need help with something else, they provide customer support in English and other languages. Alternately, in many cases you can purchase tickets directly from the attractions' or tour guides' websites - just remember to convert Euros to your own currency to get an accurate idea of your ticket cost. If you have to book your tickets in Euros instead of your own currency, use a credit card that doesn't charge currency conversion fees if possible.